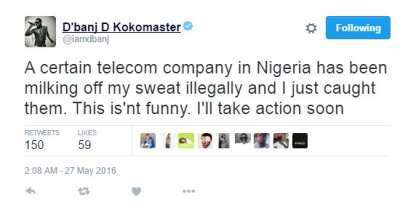 Popular Nigerian singer, D’banj has revealed that there is a telecommunications company in Nigeria "milking off his sweat illegally". 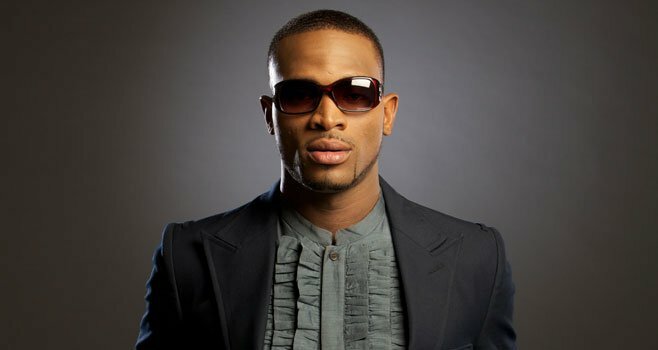 D'banj in a tweet shared on Twitter today May 27, 2016 said the illegal actions of the telecommunications company might cause him to take legal actions soon. This leaves us wondering what telecommunications company D’banj is talking about as he was previously an ambassador for Globacom and hasn’t signed with any other telecommunications company since his contract expired. Meanwhile, the singer announced on Wednesday, May 4, 2016, that he will no longer continue his ambassadorial appointment with Ciroc Nigeria. He made this known via his Instagram and Twitter, to the amazement of fans, who went on to encourage the singer to venture into his own beverage production.